Gorgeous food makes a bad day better. It makes a good day amazing. Beautiful breakfast treats can change your whole outlook by setting your mood from the first tweet of the morning songbirds. These pinwheels look really impressive but are totally quick and easy to create. They would make an excellent addition to your next brunch, tea or playdate. Or, for when the neighbor you love has been extra good and deserves a little treat. You might even get your tools back from the guy next door if you come bearing a plate of these beauties. 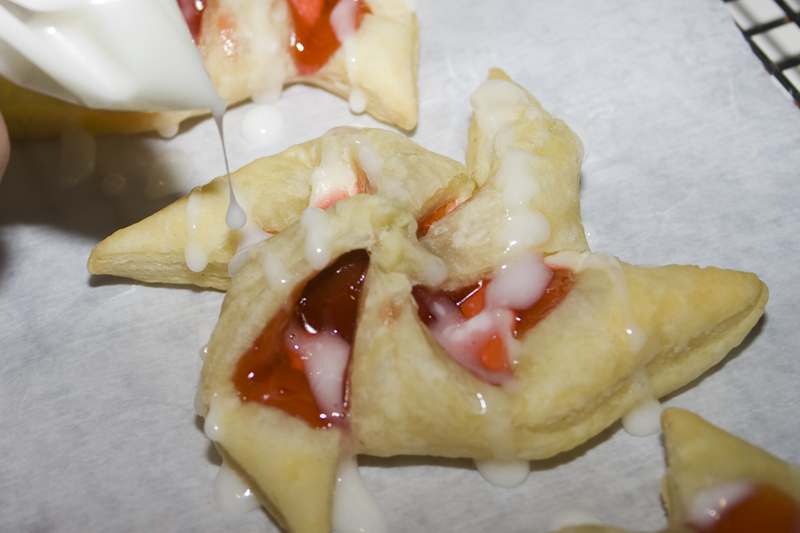 Then smoosh a little of the cream cheese in the middle. 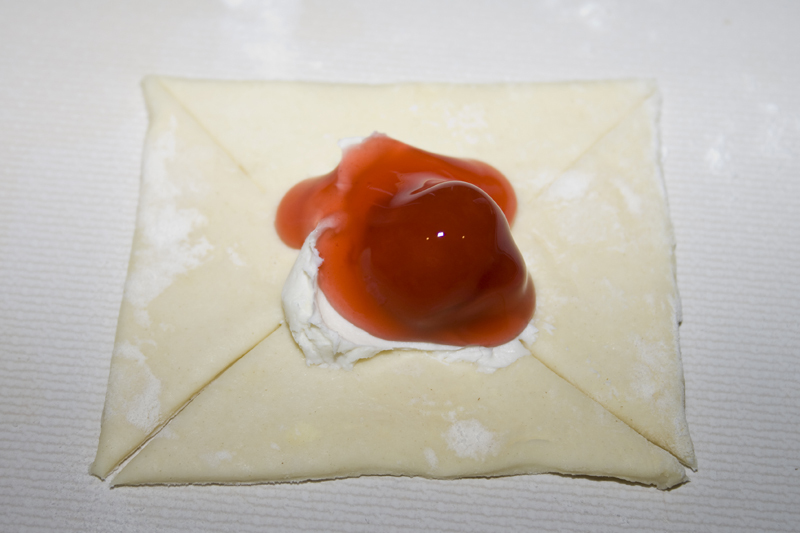 A little dollup of whatever filling you’re using – in my case, cherry pie filling. Cut thru the edges towards the center, stopping before you reach the filling. 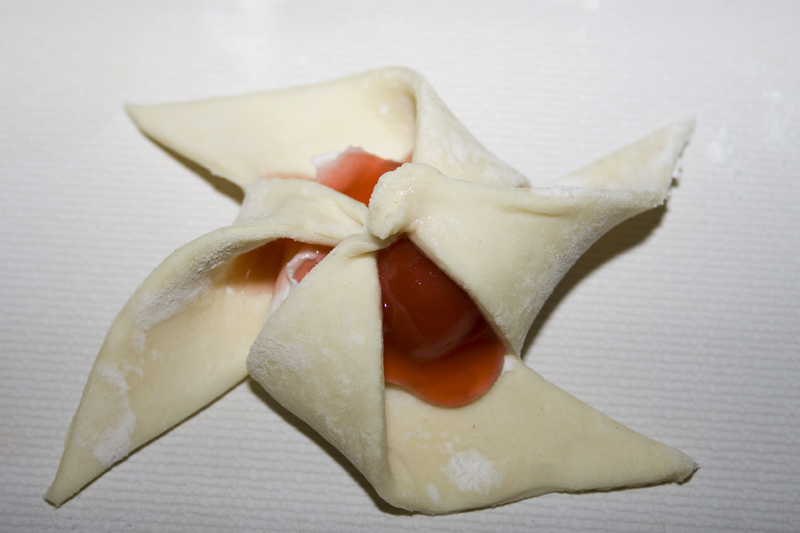 Fold every other corner into the middle and press together into a little ball. 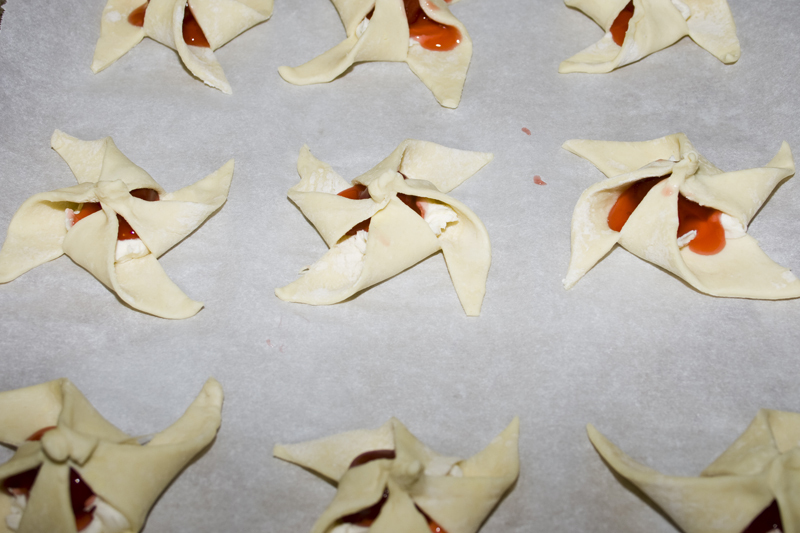 Press firmly, or when the pastry puffs during baking it will come apart. Repeat with the remaining squares. Bake until lightly golden, then drizzle with glaze. Voilà! 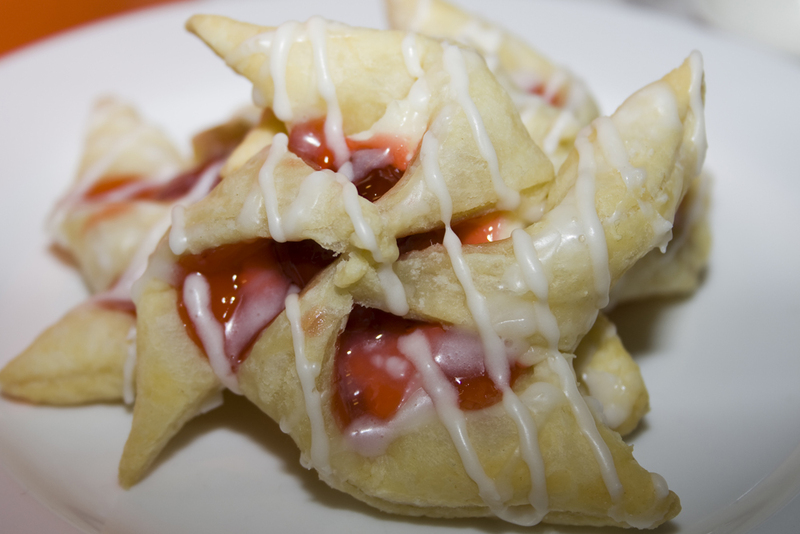 Perfect little puffy pinwheels. Enough milk to make it the consistency you like. Unfold 1 pastry sheet on a lightly floured surface. 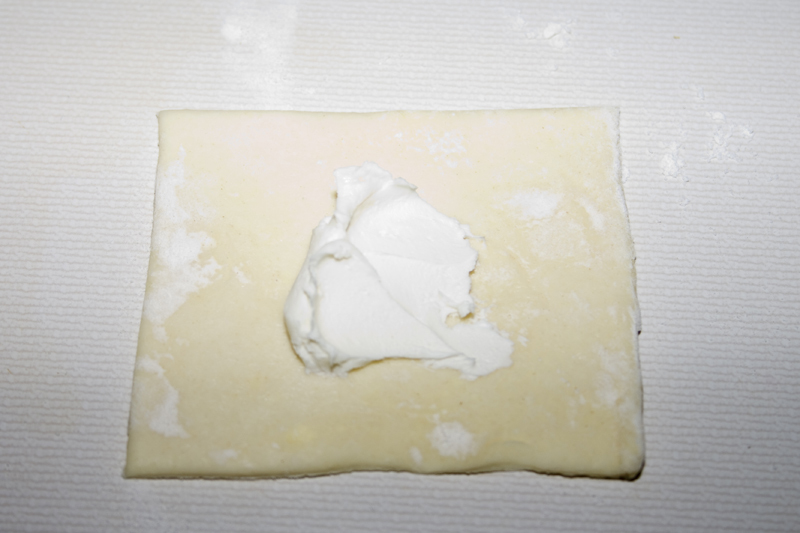 Roll the pastry sheet into a 16×8-inch rectangle. Cut into 8 (4-inch) squares. Repeat with the remaining pastry sheet. Blend the cream cheese, sugar and vanilla in a bowl until smooth. 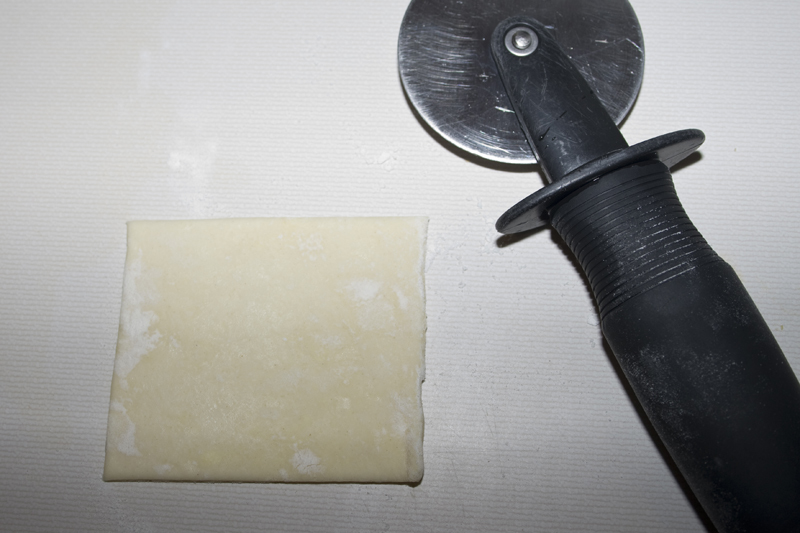 Spoon 1 scant tablespoon cream cheese mixture in the center of each pastry square, topping with a spoonful of jam or pie filling. 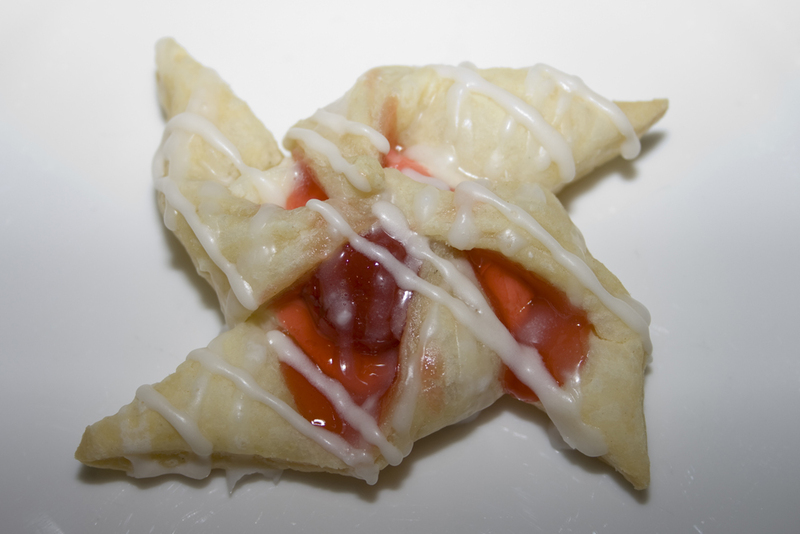 Using a sharp knife, cut diagonal lines from the corners of the pastry to within 3/4-inch of the preserves. 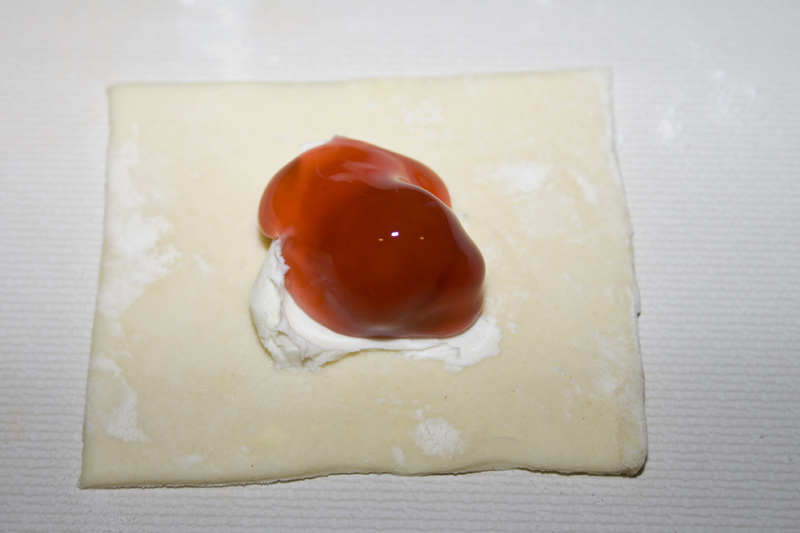 Fold every other corner up over the preserves to the center, overlapping the points and pinching to seal. Place the pastries onto a parchment paper lined baking sheet. Bake for 20 minutes or until the pastries are golden brown. Remove the pastries from the baking sheet and let cool on a wire rack for 10 minutes. Drizzle with glaze and serve. This is great and all, but I perere to just dollop on jam in the middle and go over it with egg white! Seriously quit the fancy and go easy !